These guys are amazing. They made a super-stressful move a breeze. They have the best can-do attitude about everything. They never got stressed or annoyed at how much crap there was to deal with and were happy to help us move stuff from Waltham Massachusetts to Newton MA. I thought they would hate us because we were so disorganized, but they made everything go smoothly and stayed positive. Also, when I called around for estimates looking for moving company in Waltham MA, Fast Lines Movers were the only ones that took the time to properly work out what i had and helped me think through everything. So, I felt that they probably gave the most accurate estimate as well. I cannot say enough about how great they movers were. Hire Fast Lines Moving Company Waltham! It is the smartest move you’ll make! Shifting or movement of any kind, commercial or residential, is always stressful. With office shifting, a lot more things to be taken care of, because commercial movements involve not just moving the office furniture, but also many paraphernalia associated with them. A complete packing and moving of all office furniture, files, equipment, etc. is done with care, to prevent any damage or loss of important items. Since an office move requires thoroughly experienced professionals, special team of senior moving consultants are employed for any commercial move. These consultants will give you an account of how things are going to be moved out of office, before starting the actual movement. An office move cannot be done blindly. A proper planning of space, furniture placements, etc. is done by these professional consultants, to help with stress free movement. Office movements are sometimes accompanied by employees’ movement too, and the Boston movers provide secure storage facilities for such employees. Special care is taken for technical instruments, office equipment and computers, before moving them to the new premises. Any type of moving requires careful planning, but it is more so with commercial movements, because of the importance of confidential documents, files and other expensive equipment. The whole moving process takes place in three stages. Before the real move happens, the professional movers visit your office and make a list of what all needs to be moved, the preparations required for the movement, etc. This list is made in consultation with you and your office people, to ensure more clarity. Once they start with the preparation, they re-check with the authorized person to confirm if whatever has been planned is alright with everyone. Also, this is the phase where any important files or documents are removed for safekeeping, equipment like computer and others prepared for movement, etc. With the initial two stages planned and completed well, the actual movement or execution stage becomes much simpler and error free. So, if you are stressed out about moving your office space or commercial space, look out for a good moving companies in Boston to have an easy and well planned shifting. Benny’s Moving & Storage Company is one of the trusted movers in Boston for delivering premier moving services and junk removal services. This professionally trained mover is specially trained to handle large and delicate items such as furniture and decorative items. They provide safety and security of your possessions. Totally efficient and professional movers. Benny’s Moving and Storage …not just for moving! Benny’s Moving company had recently moved our family into our new home in Boston Sidebar: the movers were great and I would definitely recommend them. About a month later, we decided to replace the wood on our first floor. We had a small window in which to complete this project and were told it would go a lot faster if we had all the furniture removed beforehand. On a whim I decided to call Benny’s Moving and Storage, and see if they could help. Within an hour, I had set an appointment for two movers to come and take out our furniture on the desired date. In addition, they put everything in storage for 2 days and prorated the storage fee, so that it was actually less expensive that if we had rented our own temporary storage unit. It was hassle free and I felt it would be safer. I don’t know what it is about their salespeople, but they have the best customer service: they answer all of your questions, never rush you, and actually give you good advice. They came and wrapped all of our furniture as if we were actually moving again. Totally efficient and professional movers. They sent a team of two guys who worked so fast and our project actually finished a day ahead of schedule. As soon as the floors were dry, all I had to do was make one phone call, our furniture was delivered, unwrapped, and set up immediately on my beautiful new floor. The guys were amazing. I thought this was going to be the worst week of my life but it turned to be one of the best experiences I ever had with a company. If this is what it’s going to be like living in Boston, it’s going to be a great summer. Rhode Island is very nice place to live. Providence can be nice & it can be tricky and dirty. You can live in a nice condo/townhouse or whatever they call them in Providence. and 3 streets over it’s slumish. I’m not sure if u are familiar with Providence or RI. I don’t know about other states but it sounds scary to me if u are a teacher in RI because certain towns/cities are going after pensions and COLA’s. I wish a teacher from RI would respond to you. I don’t wish to trash RI but we are taxed to death. I know everyone is being taxed like crazy these days. RI, to me gets the prize! I bought a house in April /2010, got my taxes done in February & was shocked how much I didn’t get back as a refund. Yes, yes, yes…I’m lucky to get something back versus paying. The accountant explained why I got so little back but unfortunately I can’t reiterate it. Sorry to get so heavy. Consider the outskirts of Prov as well. (The east side will costs you a small fortune to live in). Unfortunately I got an offer to teach in California and I will double my paycheck from $35,000 a Year to almost $70,000 would you stay in Rhode Island? I am moving from Rhode Island to California at the end of this school season and I am very happy to move in to a much better weather I will miss Rhode Island but I got to go and make more money and have better live how can you go wrong Lol, I search for long Distance Moving Companies and I found Fast Lines Moving they gave me an estimate of $3500 to move my One bedroom apartment I did research and found out that the moving companies Rhode Island Considered as one of the best moving companies in Boston so I hope I made the right choice. Moving again? Things can get a bit tough if not planned and coordinated well. With so much to do in the allotted time and so less time left, the stress level might be too much to handle. This is because, every time a move takes place, a lot of avenues need to be covered and with a much lesser time. A lot of effort and care goes into packing all those invaluable furniture and smaller things around the house. With a little bit help from outside, the stress behind the whole shifting process can be avoided. a. A house is filled with a variety of items, of different shapes and sizes. Moving them and packing them up would require a lot of energy and physical work. Also, sometimes, it would not be physically possible for us to do it ourselves. Movers are trained in these tasks so well that they accomplish it in no time at all. b. 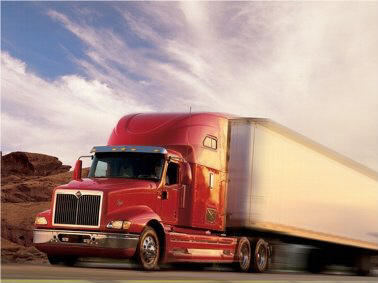 The movers can pack much faster because they have the required skill to do it at a good speed. This will save our precious time since “time is the essence”, when it comes to moving. c. A lot of items can get broken or destroyed in the process of shifting. This can be avoided by hiring a mover since they have good packaging materials and ways of packing them to avoid damage. d. Hiring movers would help us in saving on the time spent to shop for articles to pack. e. Most of the movers have storage facilities for storing up any items that are to be left behind. Apart from this, a long distance mover can save a lot of time and effort from this tremendous task and this time can be employed in doing things that are necessary for a smooth switching over. We are all overburdened with a lot of responsibilities. Hiring a mover is like sharing this responsibility with a professional, who will do it with the same care and love as we do it, or even better sometimes. Please call us at 1-800-286-9959 for free long distance moving quote. Benny’s Moving & Storage is A long Distance carrier for Fast Lines Moving Company is a team of professionally trained mover who are known for delivering premier moving services. These movers are specially trained to handle large items such as furniture, pianos etc. They also provide packing materials for safety and security purpose.